Be your own boss and join the franchise window cleaning opportunity! 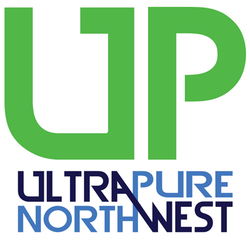 UltraPure North West was established in 2008 and what started with a small business has grown into the company it is today. No previous window cleaning experience needed. Due to the high demand of our services we now offer a window cleaning franchise opportunity in the Wigan and Bolton area. There are many advantages to becoming a window cleaning franchisee, maybe you're employed and not happy with your current job and fancy a change? Maybe you thought about setting up a business before but you dont want to set up and go broke? And as heartbreaking as it sounds i've seen it happen plenty of times; it's extremely hard setting up a business from scratch because bills need to be paid. Its easy to set up a window cleaning business, what isnt easy is to set up a business thats successful and profitable which is why joining the franchise is a good opportunity, you can go from working in a call centre to working for yourself with better pay and more flexibility with your days. Its not a case of us giving you a workload every day, week or month, you will be your own boss and part of the UltraPure North West family. You would be trained and eventually working in your own van with your own regular workload. You would be cleaning peoples windows using the water fed pole so you wouldnt be cleaning windows off a ladder the old way. Your customers will be signed up to a direct debit payment system so theres no knocking on doors for collecting payments. Your workload would mainly be domestic window cleaning work with some commercial window cleaning work also. We have rounds of houses and commercial rounds for example Greater Manchester Fire and Rescue Services which consisited of all 49 firestations in Greater Manchester. All this doesnt happen overnight as you can imagine. If you've got this far you're interested and probably want to know the finer details, ideally we would need to have a small meeting which would take a couple of hours where i could explain everything in more detail. In a nutshell you would need a driving license, no points would be a bonus. This really is a great chance for someone to get into a successful l and more importantly profitable business and make good money. We speak to a lot of potential franchisees and most of them dont cut it unfortunately, we have some requirements for financing your franchise, its a one off payment to buy into the franchise anywhere from £5000-£15000 depending on different factors of what you want out of the franchise. You're not just trained and then thrown into the deep end cleaning customers on your own, you will be cleaning your customers with me while training and you wouldnt go out on your own until you're ready.